Time to see Hercules as you’ve never seen him before - napping! 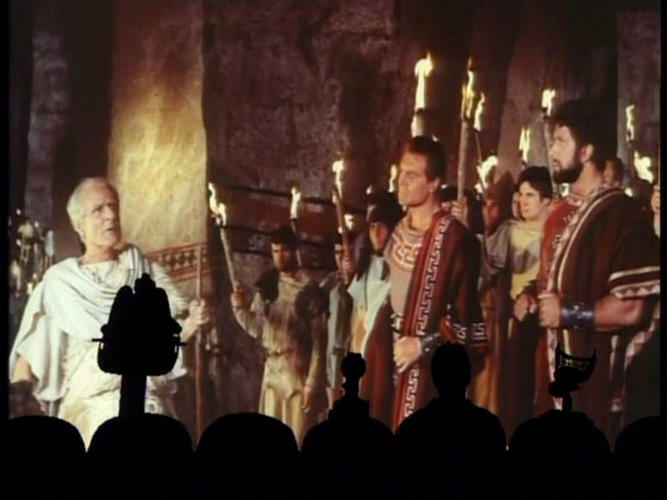 No worries, once you’ve taken a gander at this movie’s forays into the mystical secrets of Uranus, hand to hand combat and ritual sacrifice, you’ll be joining in on the slumber party soon enough. Ah, this really is a day for Uranus. Meanwhile on the Satellite of Love: lawn babies, good natured brawling, and Gypsy takes on the riffing reigns! 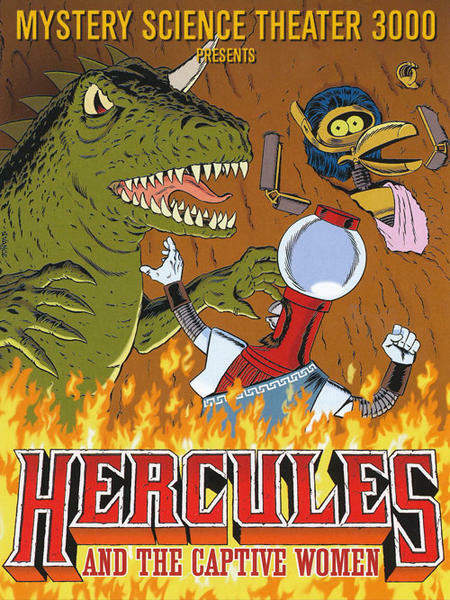 Join Joel, Servo and Crow as they take a quick snooze for Hercules and the Captive Women!